The Appraisal District identifies property to be taxed, determines its appraised value, whether to grant exemptions, the taxable owner and address, and which taxing jurisdictions may tax the property. For information on Values, Exemptions, Ownership or Address, please contact the Appraisal District during business hours. Minimize What are some exemptions? How do I apply? Residence Homestead Available for all home owners on their residence as long as they lived there on January 1st of the tax year. Disabled Homestead Can be taken in addition to the homestead exemption; available to those who qualify according to specific guidelines. Disable veteran or survivor Can be taken in addition to the homestead exemption, according to a disability rating. 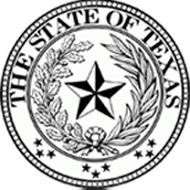 This exemption can be taken on any property in Texas; it is not limited to the homestead property. Age 65 or Older Can be taken in addition to homestead exemption on residence. Home owners over the age of 65 may also arrange for a Tax Affidavit Deferral, You may choose to defer the collection of taxes if you own and occupy your residence and taxes are delinquent; however, a tax lien remains on the property and interest of 8% a year continues to accrue. The chief appraiser is responsible for administering exemption applications. A property owner or the owner's authorized agent must file any necessary exemption form before May 1 of the tax year. Minimize When are taxes due? Tax statements are mailed each October of the Tax year and are due on receipt. In order to be timely, payment of taxes must be postmarked before the specified date. Taxes are delinquent on February 1 of each year and subject to penalty and interest, and subject to possible lawsuit. Minimize What if I don't receive a tax statement? Minimize Will a lien be placed on my property if the taxes are paid? No, if taxes are paid by January 1 there is no lien. However, if taxes are not paid by January 1 State law automatically places a tax lien on property on JANUARY 1 of each year to ensure that taxes are paid. Maximize What if I sold my property last year? The person who owned the property on January 1 of the tax year is personally liable for the tax, even if he/she sold the property during the year. Let the buyer beware, however, the lien follows the property. Maximize What if my mortgage company is supposed to pay my taxes? If your property taxes are paid by a mortgage company and you receive a tax statement, write your loan number on the statement, forward it immediately to your mortgage company for payment and notify the Tax Office in writing. Maximize Can I get a discount on my taxes if I pay early? We currently do not offer early payment discounts. Maximize Do I have to pay all my taxes at the same time? No. You can select one of the payment options to pay your taxes in installments, or you may pay the County, City, or Independent School District taxes separately. Maximize What kind of payment options are available? Maximize What is a tax certificate, and how can I obtain one? A tax certificate is a certified document showing all delinquent taxes and may include current taxes. If delinquent, the certificate shows penalties and interest that are due according to tax records. The fee to obtain a certificate is $10.00 per certificate; prepayment is required.